For elegance with a hint of romance the new Titania Cafetière is perfect. 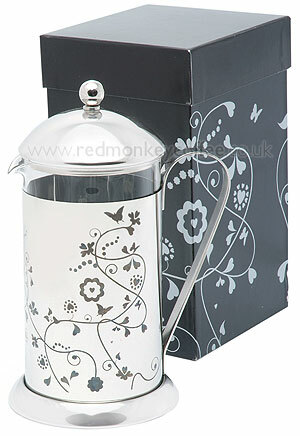 This 8-cup cafetière has a screen printed stainless steel frame and is packaged in a black and silver gift box. Based on the Rainbow design.